31 Classic is a three card style casino card game with a single draw card option. The objective of the game is to combine up to 3 suited cards to get a point value of 17 or higher. 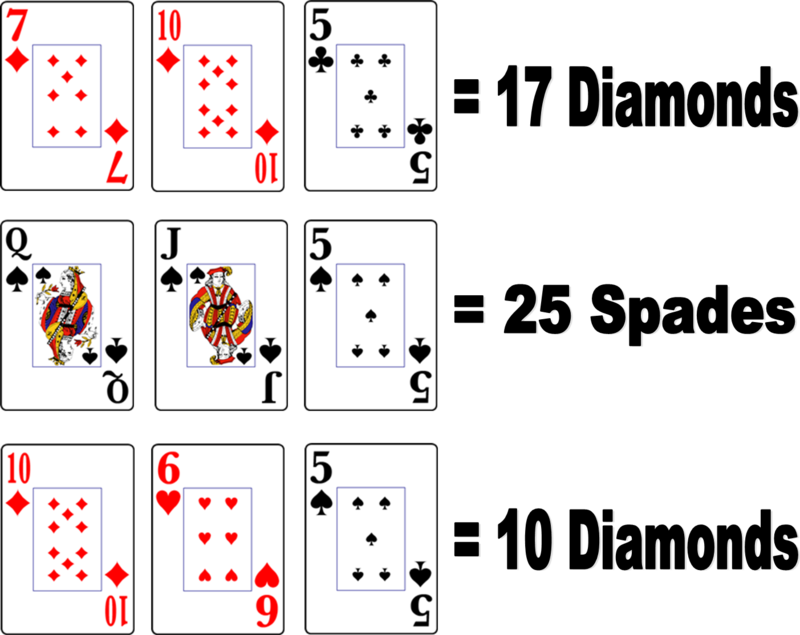 Blackjack scoring is used, where the faces are equal to 10 points and aces are eleven (Click for Hand Examples). The game is played with up to seven players playing the odds versus a pay table (not vs. a dealer). 1) Place an Ante wager, optional Natural 31 Bonus wager and/or optional 4 Card Royal Family Bonus Wager. 2) Get three cards face down. 4) If you play, you will receive one new card from the dealer. Folding hands are still eligible for a payoff on the 4 Card Royal Family Bonus Wager, if placed. 5) After all final hands are viewed the hand is over. The dealer will then distribute the chips accordingly. This is an optional wager that is not required to play the hand. If the player decides to place this wager they must place the desired chip denomination in the golden “crown” circle prior to the dealing of any cards. All 4 cards (the player’s initial 3 plus the “draw” card) are used to determine this side wager. The payouts for this wager are expressed in the “4 Card Royal Family Bonus” pay table. *Game demo- Place the bonus wager by clicking the “crown” circle.